On the 1st of October Chantal Mouffe will give a lecture in the European Centre for Cultural Arts and Science (Felix Meritis) in Amsterdam. The lecture is called ‘Citizenship, Democracy and Pluralism’ and will start on 20.00. Although she is most best known for her anti-Habermas position (think of her idea that there is no such thing as a ‘rational consensus’) I’m perhaps more interested in the way her focus on ‘antagonisms’ can be meaningful for a strenghtening of more STS related (Callon, Barry) views on democracy and representation. One can understand why passion plays such an important role in political issues, but the most important question could be how these passions can be given a voice. Moreover, how does an incorporation of passion into political philosophy work when confronted with highly specialized, technological or scientific issues? 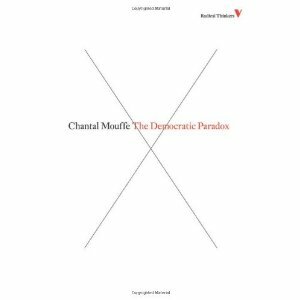 You can find the full announcement here and a recent interview with Chantal Mouffe here.